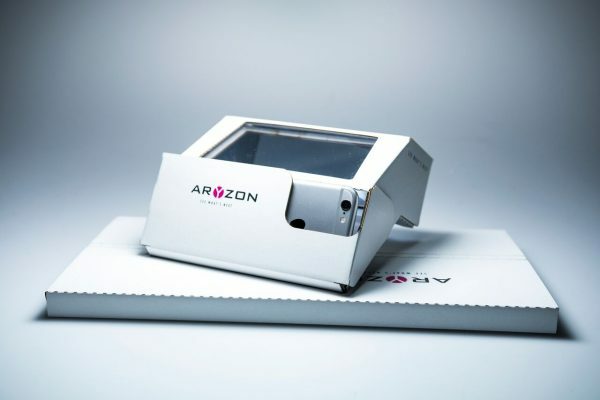 Kickstarter is full of small start-up companies with big ideas and one that has caught our eye recently is Aryzon. 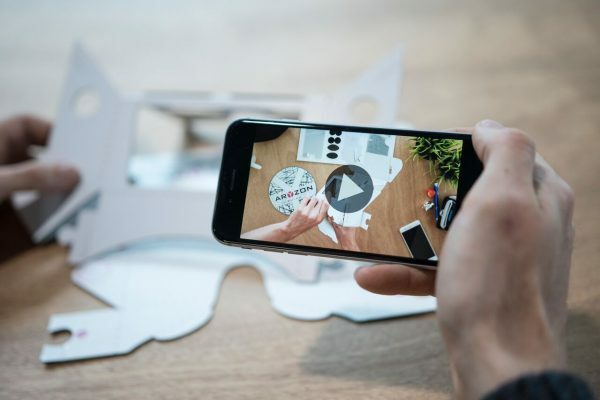 The Dutch company have developed a device constructed of cardboard and lenses that fits around a smartphone to create an augmented reality (AR) environment for the viewer at an affordable price. 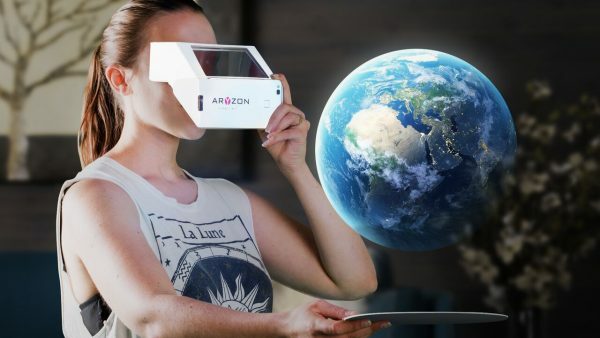 For a price of only $30, the Aryzon headset can project virtual content from the user’s smartphone screen creating a vivid and immersive augmented reality. Technology like this creates so many possibilities. It can be used for entertainment, education or even professionally. This can show you how your home will look after decoration or it can be used to make a puppy play on your desk. 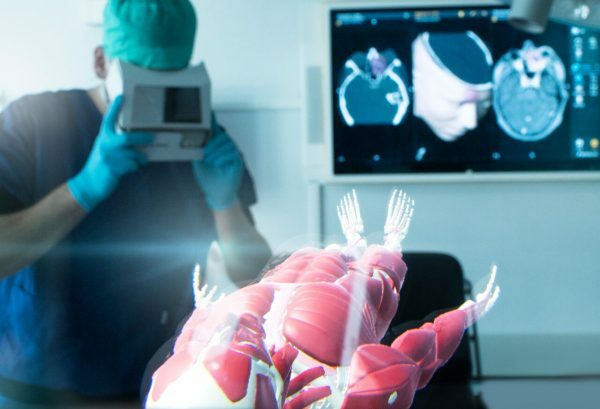 One suggestion made by Aryzon is that it could be used by physiotherapists to explain pain sources and anatomy to patients. Currently, the Microsfot Hololens, a headset with a similar effect is on the market for £3000. At such a price, it is out of reach of many consumers who would enjoy augmented reality. 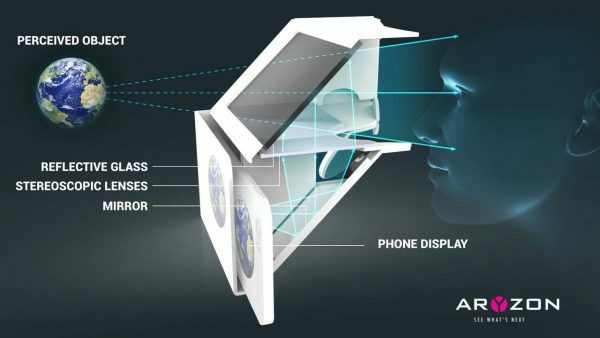 So, at $30, Aryzon’s cardboard headset is a fraction of the price and opens up the AR world to everybody, especially since it works with every iOS and Android smartphone. The headset is shipped to purchasers as a DIY kit so it will fit through letterboxes. Once constructed, the headset can be used in conjunction with current 2D augmented reality apps for smartphones such as the Ikea AR app or the Nike ID platform. 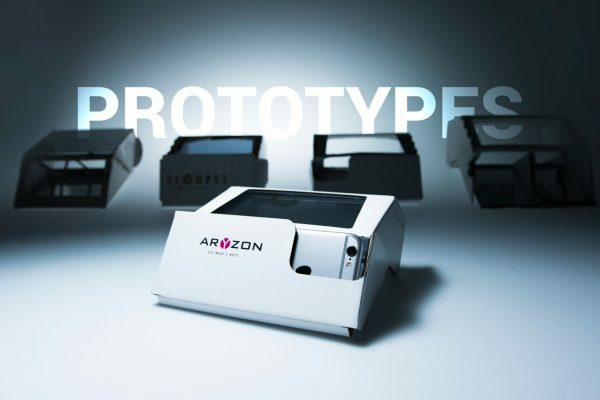 Aryzon’s own app allows for interactions with models that users can scale, rotate and navigate in augmented reality. It is hoped that in time, Aryzon can improve and develop to become the leading augmented reality platform for content creation and sharing. 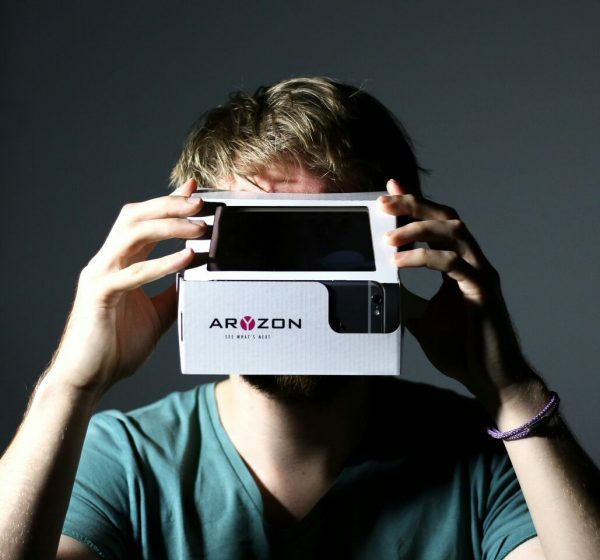 You can read more about Aryzon and their headset by visiting Kickstarter. Great Idea for a cheap AR alternative headset! I’m sure it wont measure up to the magic leap or Hololens, but at that price, it doesn’t have too. I love it too! The scalability and simplicity makes this so applicable for many many applications.